Many people have pointed out that Donald Trump’s idea for a wall along the entirety of the US-Mexico border is silly. Most undocumented immigrants enter the country legally and simply overstay their visas. But what do Border and Customs officials really want along the border? More tech. Reuters has a new report citing unpublished documents and interviews within the US Customs and Border Protection agency. What the American authorities on the ground want is roughly 23 more miles of real-world fencing. But mostly reinforcements to the “virtual wall” that they’ve been building since the 1970s. That includes more sensors, drones, and cameras on the US-Mexico border. The Border Patrol has been doubling down on a “virtual wall” of drones, blimps and tower-mounted cameras, an approach that has produced mixed results. 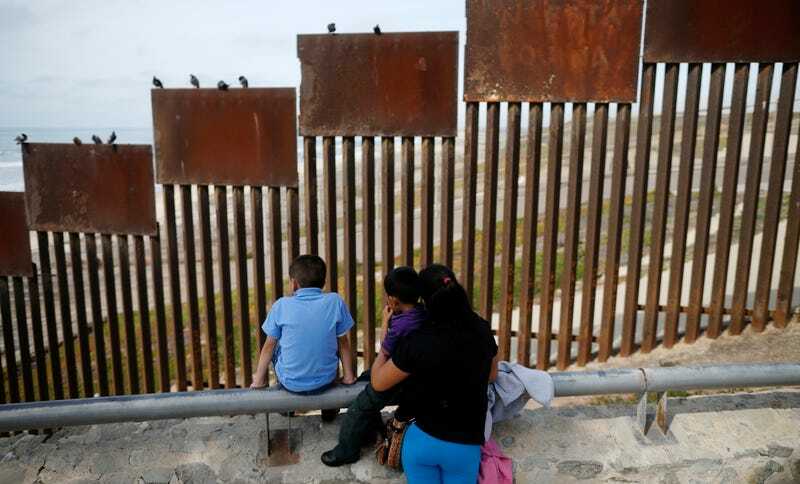 The bulk of the CBP’s current $447 million annual budget for fencing, infrastructure, and technology goes toward surveillance towers, unmanned aircrafts, retired military blimps, and other advanced technological equipment. Last year, I looked at the first attempts made by the United States to build a “virtual wall” in the 1970s. The technology that was installed was developed by the US military and included drones and electronic sensors used in the Vietnam War. They were primitive in the 1970s, but by the 1990s, the technology to build the “virtual wall” was really coming into its own. The situation today is practically identical to that of the 1970s. According to Reuters, much of the tech that’s being used along the border in 2016 is coming from US military surplus. The DHS, which oversees the CBP, had taken ownership of more than 3,900 items of excess equipment from the U.S. Defense Department as of a year ago, according to a U.S. Customs and Border Protection presentation obtained by Reuters. That included “Marcbots” - wheeled robots that detect tunnels - and advanced radar surveillance systems. The war always comes home. And if Donald Trump were to listen to the people who are actually monitoring the border, he wouldn’t keep going on about his stupid wall.